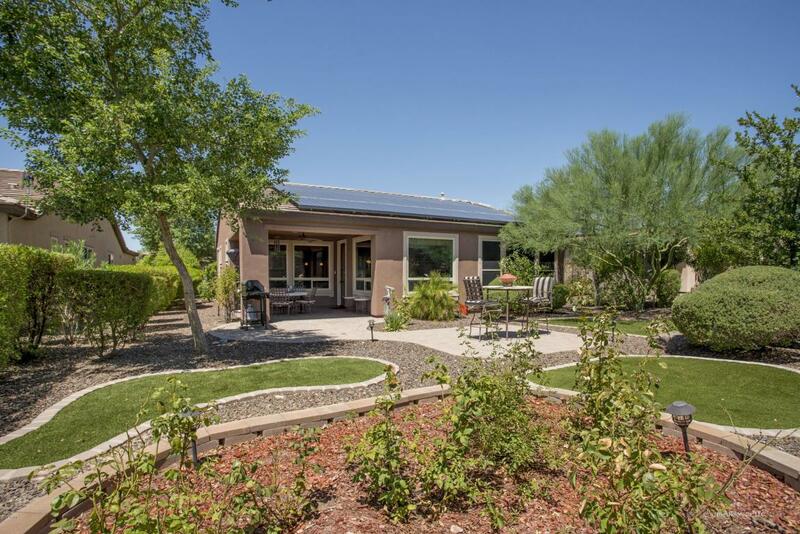 Here's the Private, Serene Solar Retreat You've Been Seeking. 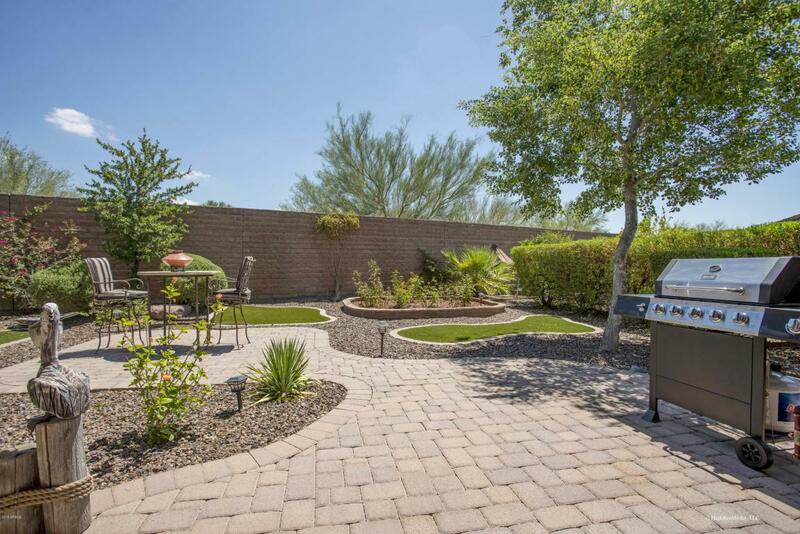 Perfect as a Winter Retreat or Primary Residence, This Beautifully Upgraded, Move-in Ready 2BR+Den, 2BA, 2CG, 1587 SF 'Monaco' in Trilogy at Vistancia, Peoria, AZ Awaits Your Arrival. $76K in Upgrades; SAVE $57K Over the Cost to Build Similar-Sized Trilogy Home! Open Floor Plan for Entertaining Ease. 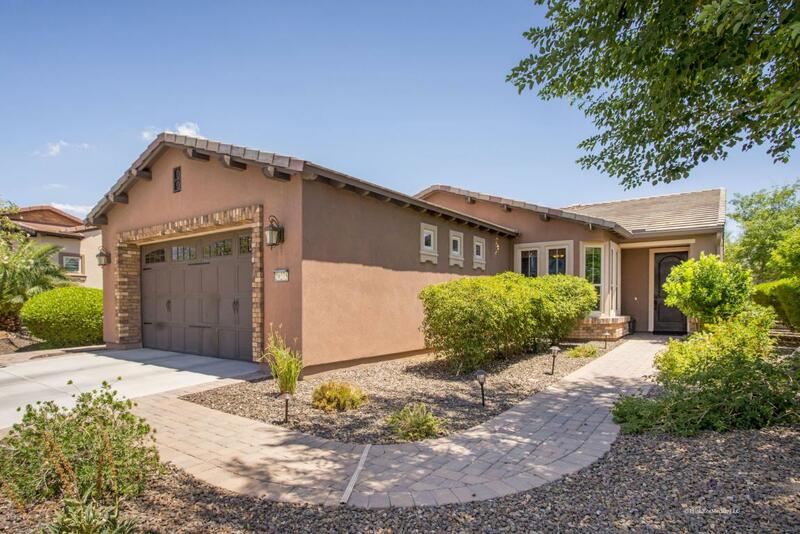 Gourmet Kitchen: Slab Granite Countertops, SS Appliances, Maple Cabinets w/Rollout Shelves, Breakfast Bar w/Pendant Lighting, Prep Island, Eat-in Area, Large Pantry. Great Room: Surround Sound, Built-in Media Center. Master BR: En Suite Bath w/Dual Sinks, Large Shower, Walk-in Closet. Guest BR/BA in Separate Wing. 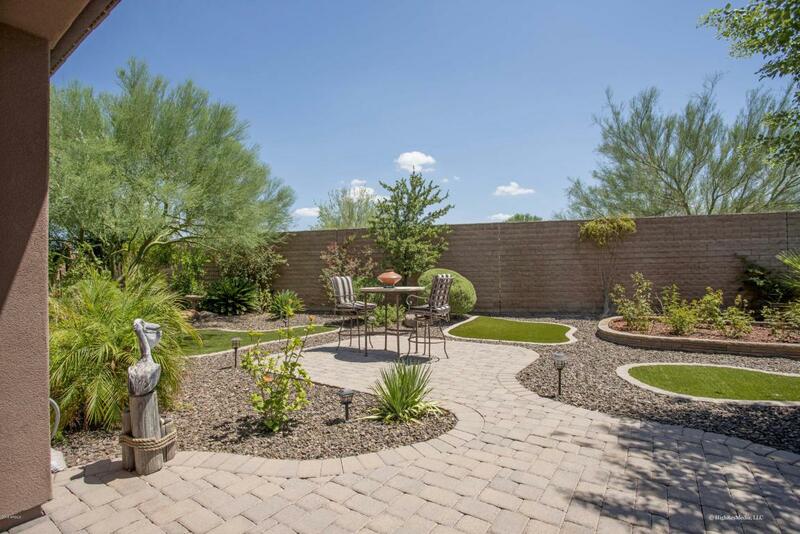 Host Good Times w/Friends & Family in the Lushly Landscaped Backyard Oasis. Garage Ext'd 4 Feet Has Built-in Cabinets.